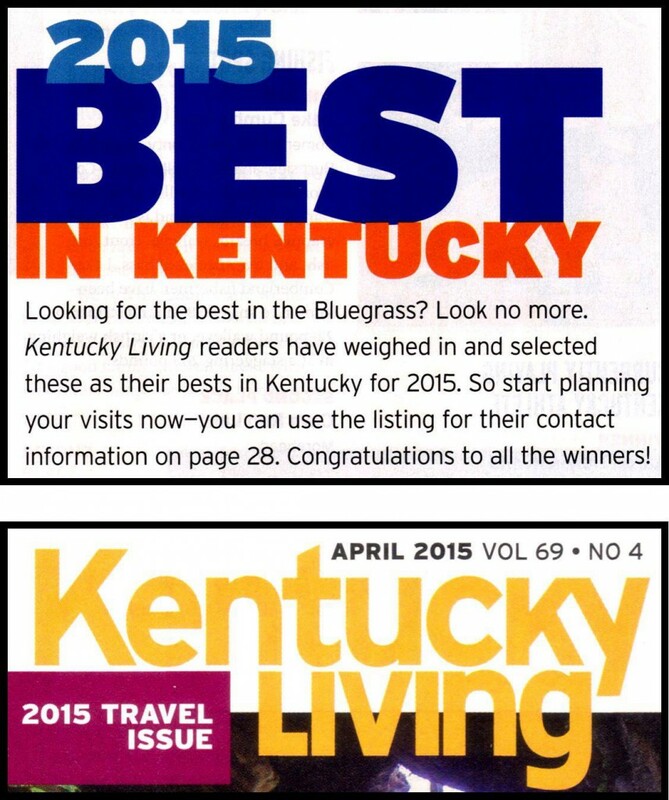 KENTUCKY LIVING magazine recently named the Wayne County Museum as one of the best museums in the state. 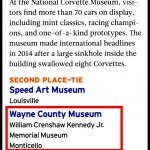 The local museum competed with some of the most prestigious museums in the commonwealth including the Corvette Museum, the Speed Art Museum, the Creation Museum, and the Mill Springs Battlefield Museum. 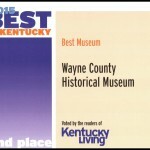 The Wayne County Museum was named as a second-place winner in the competition. 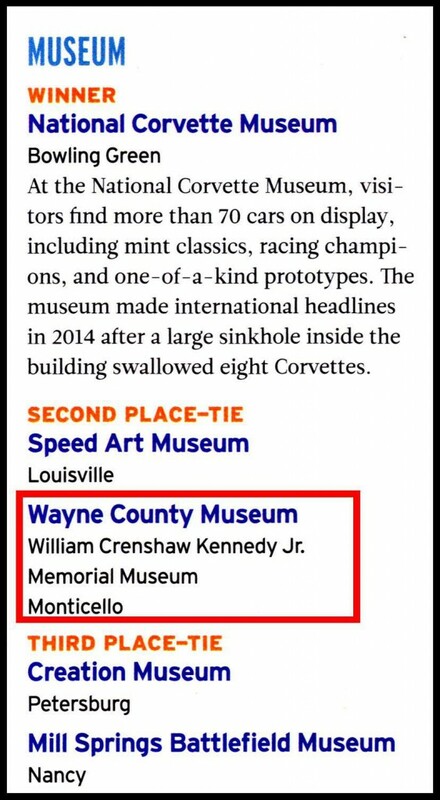 Monticello and Wayne County is fortunate to have an “award winning” museum in the community and every citizen is encouraged to take advantage of the opportunities the museum offers. 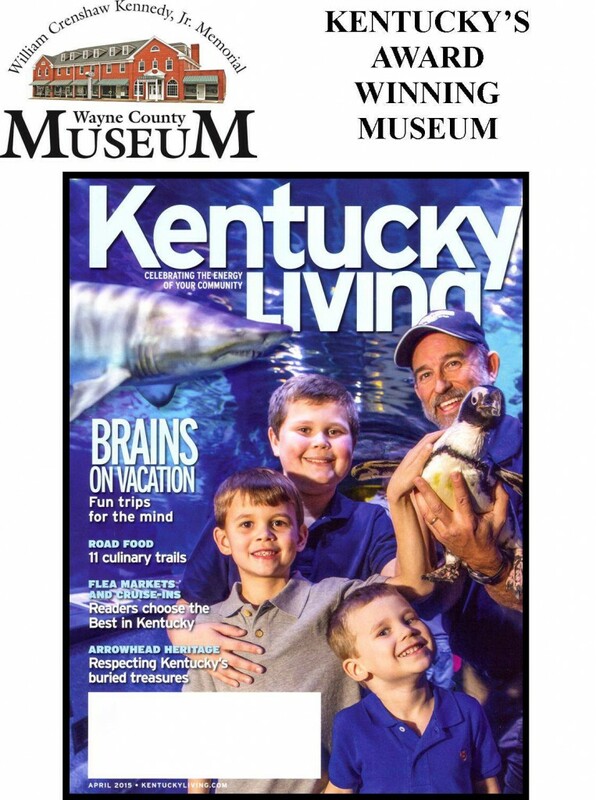 One feature of the museum is a children’s section that has something to appeal to young students who want to increase their knowledge and appreciation of Wayne County history. 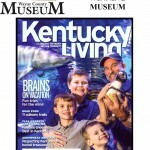 The museum also has a gift shop that offers scores of publications relating to Wayne County history. For genealogists the Elizabeth Furr Duncan Library is located in the museum building. The museum is open Tuesday through Saturday from 10:00 a.m. till 4:00 p.m. Admission is free. 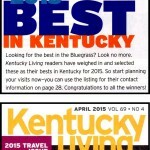 For more information, please contact David H. Smith, Executive Director/Curator. 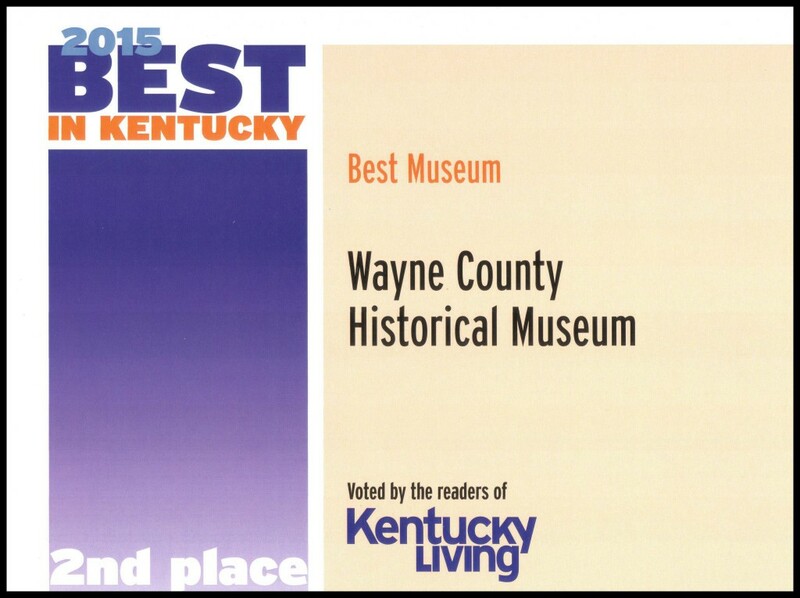 The phone number for the museum is 606-340-2300.